Accessibility in Web design and web development addresses the issue of creating Websites that are accessible to all users, regardless of physical ability or the way in which they use the Internet. Unfortunately, testing for web accessibility is an often a very neglected, overlooked, or in some cases, simply unknown part of web design and development due to the fact that it’s not something that’s a visual problem. Since it can’t been seen, the client doesn’t realize that it is a problem. Web accessibility is very important however. Not only because your content will be more accessible to a wider range of audience, but also because correcting web accessibility issues have secondary benefits such as cleaner and more semantic code which has the added bonus of leading to better organic search engine rankings. Visually disabled users range from the color blind, to the fully blind. These users can have problems understanding images that are not accompanied by alt text that describes the image in detail. Without a text description a user who can’t see an image has no way of knowing what it is, or what it represents. Alt Text should be used, and it is likely the most common accessibility usage, but it simply isn’t enough to put some generic text in, it needs to be something meaningful. For example, I was just looking at a picture of a car crash, the alt text, would read aloud to a blind person simply said “crash”. Is that really helpful to someone who can’t see the picture? Wouldn’t it have been better to have written something like “Stolen 2000 Honda Civic Crashed”. I tell people, when you’re writing your alt text, write it as if you’re telling someone over the phone who can’t see the picture what the picture is about. That’s essentially what is happening here. A blind person’s screen reader, such as JAWS for Windows Screen Reading Software, is going to read it to them and they have to have sufficient information for it to make sense and provide context to the image. And, as an added bonus, your website get better search engine rankings. That sounds like a win-win. By now, you’re probably beginning to see that search engine rankings is about any one magic bullet. It’s actually based on hundreds of little things that the the search engine companies refer to as “signals”. They take all of these signals and they get ran through their proprietary algorithm and that’s what decides your search engine ranking for specific keywords. Color blind users may also have trouble discerning design elements (including text) whose colors are not sufficiently different from the elements around them (Eg, grey text on a black background). Visually impaired users may also have difficulties understanding websites that are not built to accommodate usage through a non-visual browser such as a screen reader. A screen reader is a Web browser that reads websites out loud to the user, thereby making them accessible to visually disabled users. Often a Website that looks nice visually can be a complete mess when it is heard through a screen reader. This ties back into the article on Semantic Markup as this way of coding is considered best practice and screen readers do a much better job of interpreting the page content. 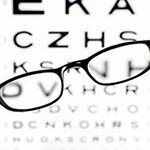 One of the most difficult tasks to accomplish for non-sighted users is filling out forms. With some correct labeling in the code, it can make this a relatively painless task, but without it, it can be near impossible. Non professional designers usually aren’t even aware these tags exist, let alone how to use them correctly. Even a great deal of professional designers shamefully omit them, usually due to time constraints on a project. This is an element that simply shouldn’t ever be over-looked. Similarly to the issues facing the visually impaired, are those that face website users with hearing disabilities. 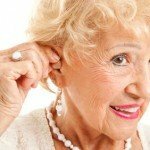 Users with various hearing issues have no way of understanding information that is communicated by an audio only version of a music file, a video file, or a narrative, or anything that uses audio. The solution for this is to provide an alternative that does not use sound. Much the same way that most TV uses Closed Captioning, you can have a transcript to accompany your site videos. If you’re using YouTube to host your videos, they make this easy for you by doing their best voice recognition to fill out most of it for you, so that you only need to fix any mistakes they may have made, which saves you the time of transcribing the entire video, song, or whatever the case may be. If you are lucky enough to not be physically disabled, it’s really quite difficult to imagine how your online experience might be if you were. For instance, have you ever tried to use a website without your mouse? Give it a try. Unless you were lucky with the site you visited, you probably found it very difficult. Physically disabled users are often incapable of using a mouse. 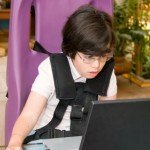 Unless these users’ needs are taken into account when you create website navigation and input methods, physically disabled users may well find your site completely inaccessible. They will leave and most likely never return. Websites can be complex, and finding the information we want can be difficult for the most able of us. The situation is not helped by sites that use an overly complex design, inconsistent navigation, and distracting, repetitive animation or too much movement. These design elements can compound problems for users with Cognitive and Neurological Disabilities, and can make some sites completely inaccessible for them. 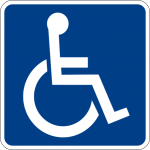 Current figures are that approximately 30% of people have some type of disability. That’s nearly one out of three people. Aging results in a number of accessibility issues, including decreased vision, partial or complete hearing loss, declining dexterity and memory issues. You want and care about their business too, don’t you? All sites should do their best to make as much of their site as accessible as possible. Realistically, sometimes, there may not be enough time to transcribe a video and little things can and do fall through the cracks, but making your website accessible to all users, not just those without disabilities, gives your site a leg-up on the competition in every way. Happier users, better SEO, everybody wins. The final reason I’ll cover regarding accessibility is legal requirement. This is usually the case for government sites, but can also affect other sites. Additional reading regarding web accessibility. The Tuolumne County Chapter of SCORE (volunteer non-profit mentoring of the SBA) has used the services of Level One Web Design to maintain our website for several years. They have made our changes the same day of our request and used their ingenuity in making the changes appealing to the eye. We have been dealing with Thomas Jay and would highly recommend his services.